Volos is a coastal port city in Thessaly situated midway on the Greek mainland, about 330 kilometres north of Athens and 220 kilometres south of Thessaloniki. It is the capital of the Magnesia regional unit. 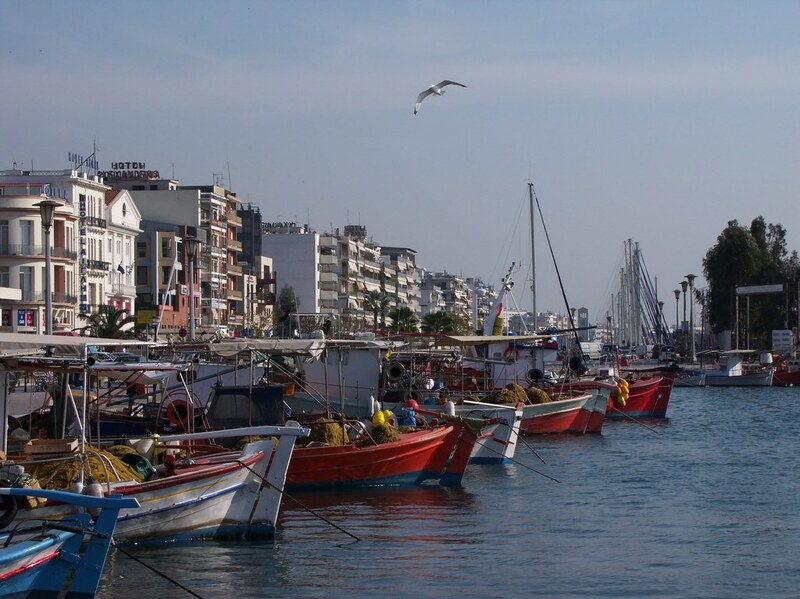 Volos is the only outlet to the sea from Thessaly, the country's largest agricultural region. With a population of 144,449, it is an important industrial centre, while its port provides a bridge between Europe and Asia. The blue markers shows the location of various accommodations in Volos. The letter in the marker describes the accommodation types: H for Hotel, A for Apartment, R for Resort, B for Bed & Breakfast and O for Other (e.g. pension, villa). Click on the blue marker for more information on the accommodation.